The sweet protection Elbow Guards are in my opinion the best option for an all-around and comfortable elbow guard. There are many different kinds out there but a lot of them are quite bulky and often have pressure points. Not with these. These are soft and malleable to the touch, and then become hard on impact. This means that while the elbow guard is not in impact mode, it is conforming to your body quite well. I’m sure there’s a lot of science/technology that goes into these and if you’re into that stuff I would check out their website. Besides comfort, the second biggest reason I wear elbow guards is to protect my drysuit. The elbow is most often the quickest spot to wear out or get punctured on a dry suit. So, something as inexpensive as this is a great investment for your suit as well as your elbows. The cool thing is that after I slide them on, I usually forget they are there. There are no long Velcro straps or anything like that, it just stretches over onto your arm and stays put. The bottom line is that sweet protection makes quality products. These are easy to use and very comfortable. Not to mention you are gonna look like a badass! All the pro's rock these. And its not just for looks. 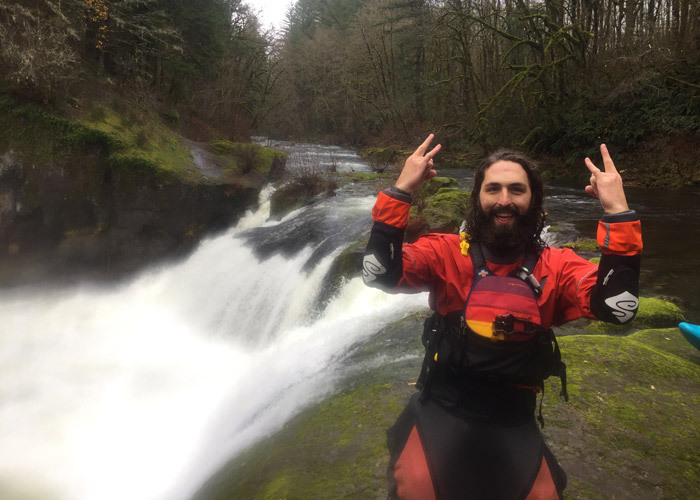 If you are looking for something to use in everyday whitewater to protect your elbows and your suit, these are for you. If you think you are gonna be running some gnarly, rocky, mankey, mess and beating your arms on rocks all day while kayking, I would check out their "elbow pads" instead of the "elbow guard". They step it up a notch for sure with impact resistance.